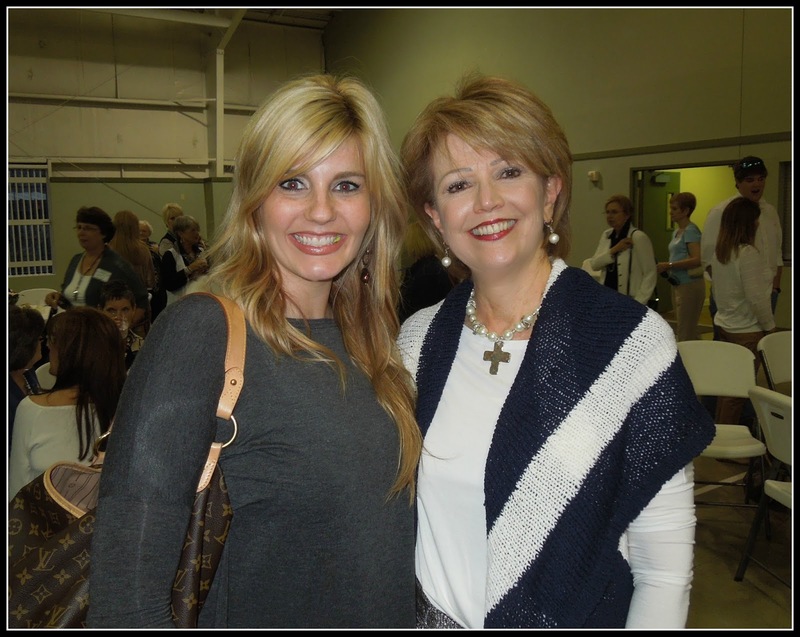 If you have been reading my blog for very long, you know that I love to blog about Southern events and how we Southern ladies know how to "throw an affair." It matters not where it is held, we can "make it happen." This past Thursday evening was another evidence of that. 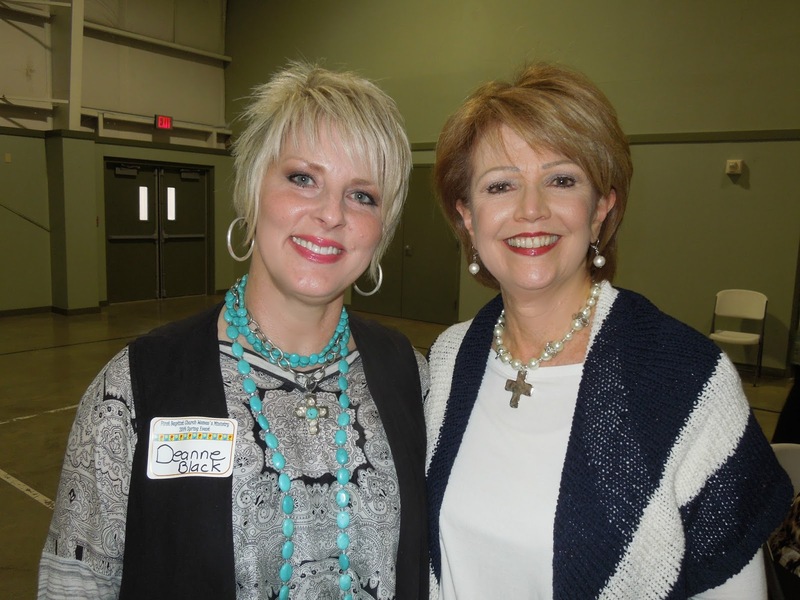 I was chairman of the annual ladies Spring Event, at our church, this year and I had a team of ladies heading up the various aspects of the event. They are ladies that when they tell you they will do something, they do it. That's my kind of person! So, while it was a lot of work, it was much easier done working along side these great ladies. 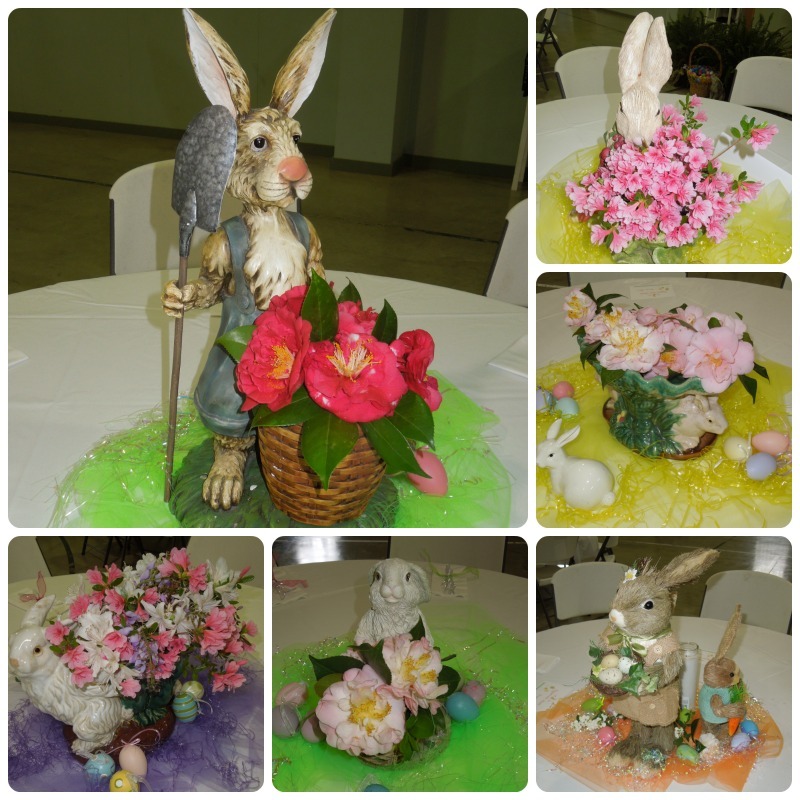 First off was the table scapes and what better way to welcome Spring than bunnies, all kinds of bunnies! The tables were just beautiful! The entrance was lovely as well and made all the ladies feel welcomed as they came in. One of the men's Sunday School classes worked in the kitchen and served the meal. The meal was catered but just serving 125 folks is no easy feat and they did it like they knew what they were doing. Hubby was one of the trusty servers! And, they did all the clean up afterwards. ~can I get some applause~ They don't come any finer than this group of men! This gal, Sherry Peveto was our guest speaker for the evening. 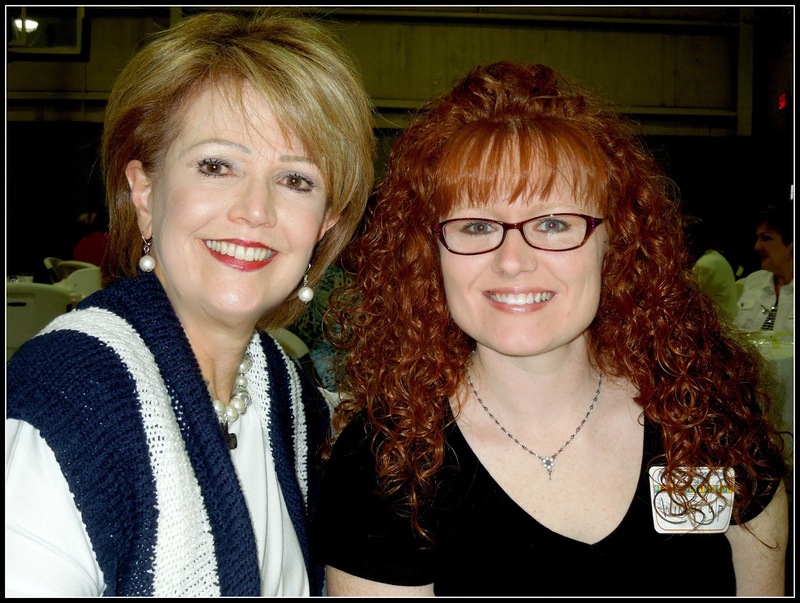 Sherry has such a wonderful life story. The Lord laid His hand on her from the beginning of her life and continues to use her life story to shine His light into the lives of other women and give them hope. She has just the right amount of seriousness and humor to keep you anxiously awaiting her next words. It is just amazing how smoothly an event goes when everyone with an assignment comes through. These ladies went over and above the "call of duty." my cute and sassy hair stylist, Amanda. What a fun day! I like your striped sweater. Enjoy your week. Sounds like a wonderful time was had by all! Looks like it was a wonderful event! Glad everything went well! Looks like wonderful memory. Kudoes to you! Yes, you ladies do certainly know how to do an event well! 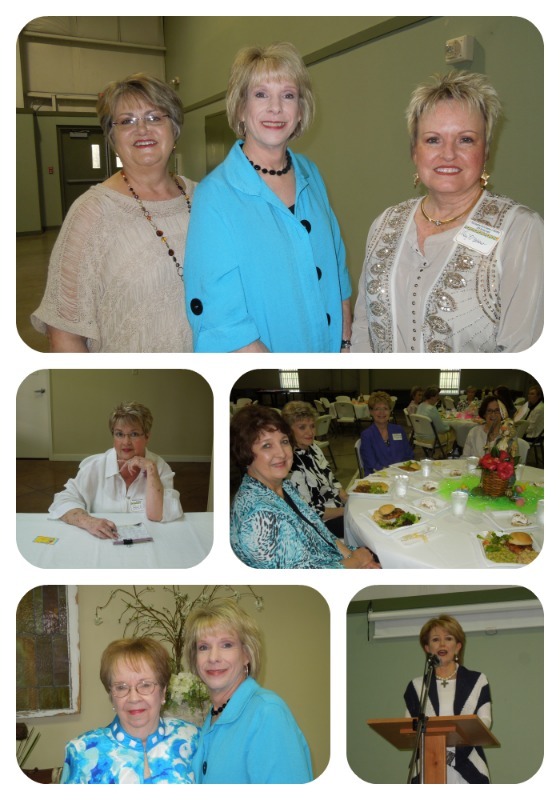 Glad it was another enjoyable annual Women's gathering at FBC. Beautiful photos of a very special evening with great friends! How fun, we just finished our Spring event as well... I too am so thankful when the men help out.. 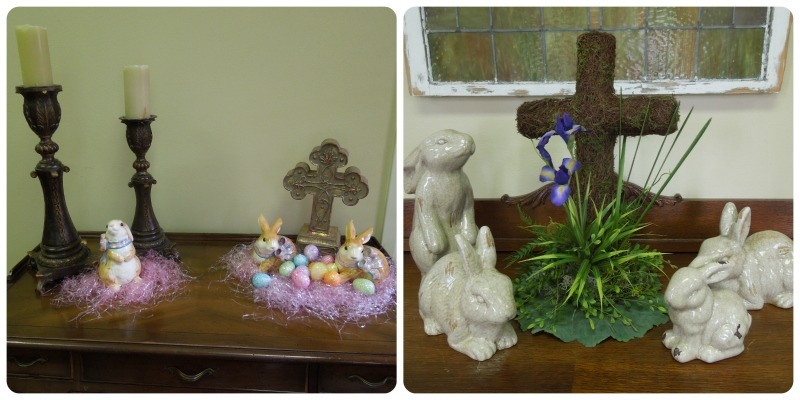 I loved all the bunny decor! Absolutely beautiful CiCi, indeed I applaud the men for their serving, and to you and the ladies for a job well done. Thanks for sharing. Well I'm sure it was lovely, and although I only know you online I feel certain you have a gift for this sort of event. I think I would enjoy being a part of your ladies group at church. I too, like when everyone works together. Your event looks like it had lots of extra special touches to it, and I am sure many ladies left it, feeling blessed and inspired by the kindness extended. Lovely pictures of you and those special to you!